There are days when I need to acknowledge unpleasantness, but keep moving forward. On those days, my motto is onward. I made this hat as a tactile reminder to myself for those days. I took the letters of onward, encoded them as numbers, and then charted those numbers, using my methods for encoding words as patterns. The marked squares were turned into purl stitches, and thus I made this stitch pattern. This is a top-down hat. 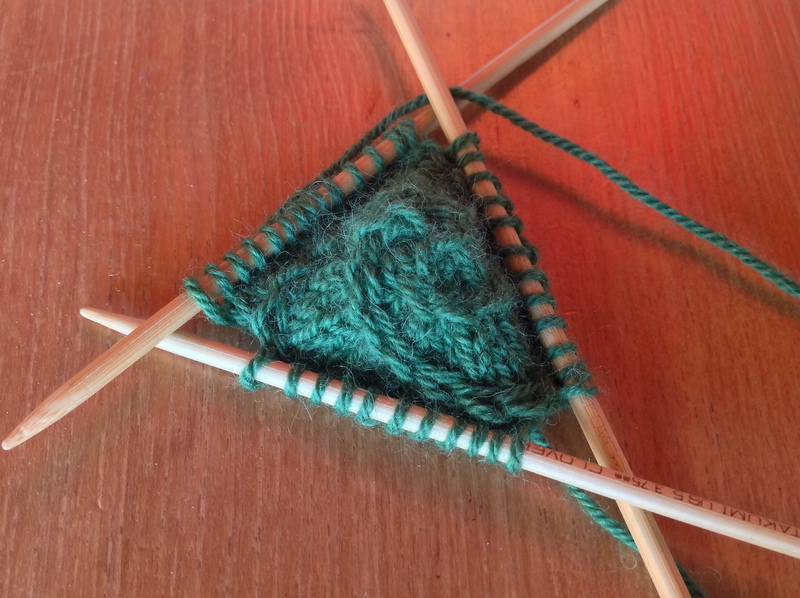 It can be ended when the yarn does if necessary; the pattern has sufficient purls in it that it doesn’t curl. A shorter hat will be a cap; a longer one can cover the ears for warmth; an even longer one can be slouchy. Knit the crown and some ribbing in a contrast color if desired. 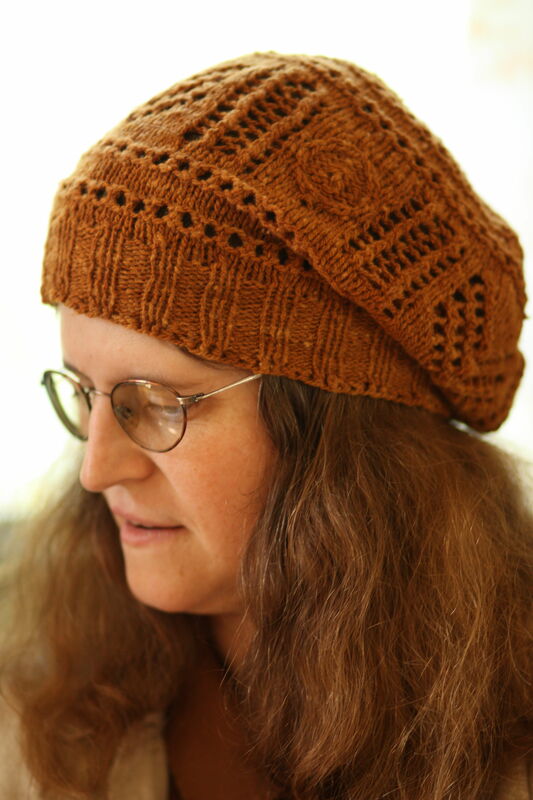 I have seen this hat worked to good effect in solid yarn, tonal yarn, variegated, and self-striping. Gradient would also be fun! 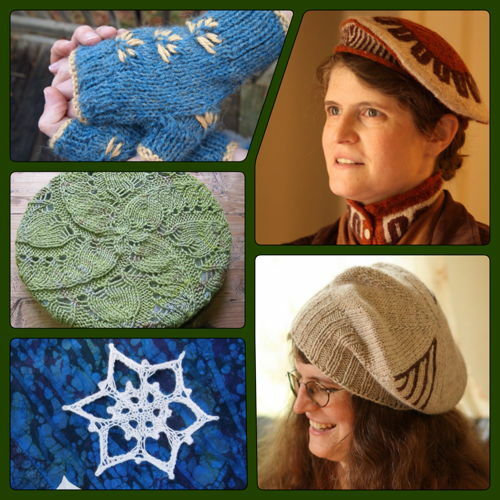 Announcing the Katherine Whorl spindle hat pattern! 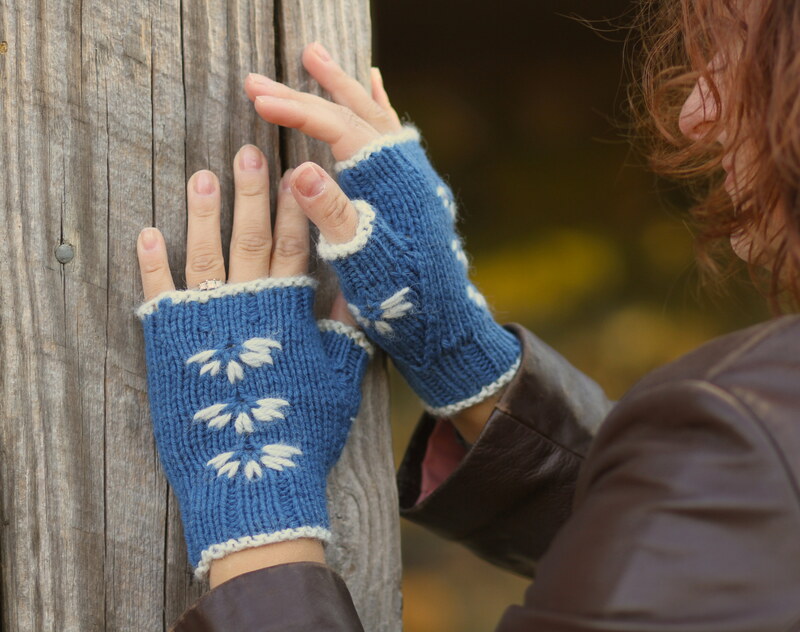 This pattern is included in the Indie Design Gift-A-Long until the end of 2013. Have a look at the Indie Design Gift-A-Long to join in the fun! Well, this is something I didn’t expect to happen – the idea sprang up among a bunch of independent designers about ten days ago, and suddenly we’re having a gift-a-long. What is a gift-a-long? In this case, it’s a large group of people knitting or crocheting gifts from a select group of patterns by independent designers. There’s a Ravelry group: Indie Design Gift-a-Long, where people are discussing their work and getting to know each other. There are prizes and there will be games. It’s a lot of fun! The gift-a-long will extend through the end of the year. Our gift to you as designers is a 25% discount on all participating patterns that lasts through November 15 (just use the coupon code giftalong before you pay for patterns). 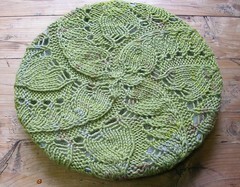 There are thousands of patterns available, listed both in a Ravelry thread and a group of Pinterest boards. There are links to everything from the group’s information pages on Ravelry. I’ve been delighted both by how the pattern is written and how it’s coming out. It seems that Leethal’s style suits my thought processes. So my friend Sarah Sipe and I have been designing hats inspired by spindle whorls. She designed one that was more broadly inspired, and it’s in today’s KnittySpin! Lots of spindles have circles, stripes, chevrons, or zigzags. This one has all of them and is a lot of fun to knit. I like that it’s top down. I like that the top is based on the pi shawl increases rather than the kind of increases I use. (I like them both, but they look very different.) I knit two samples for her; one is the commercial yarn hat that’s on the official page. The one above is knit in Mountain Meadow Wool Cody.